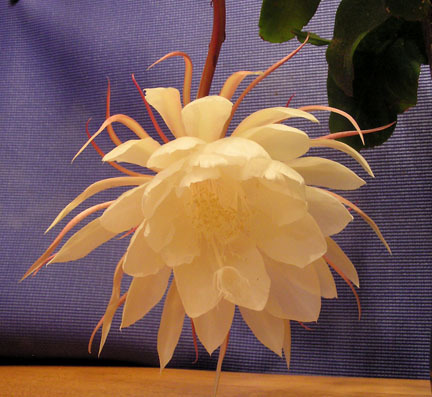 Last night, this night blooming cereus opened it’s 10″ blossom in our living room. Clearly, openings are IN! If you’re curious, as Walt Disney was, now is a good time to come to an opening! 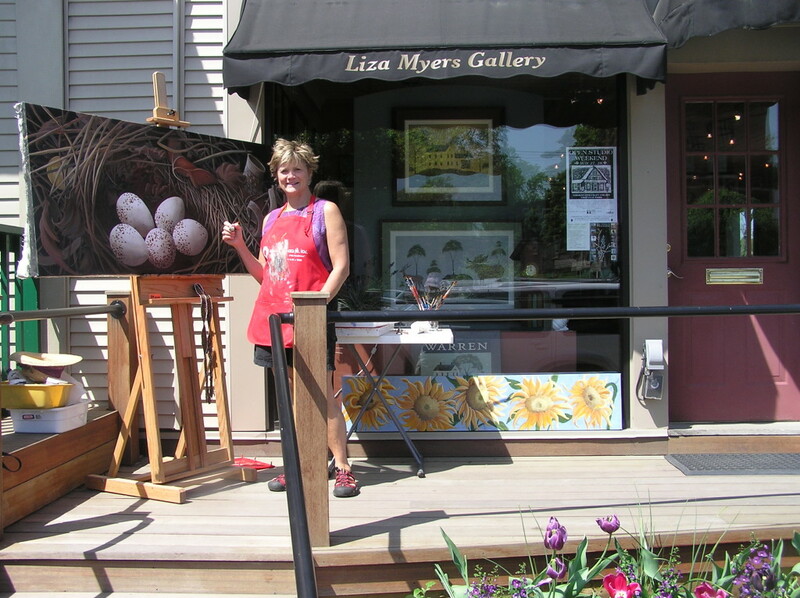 This weekend is Open Studio Weekend throughout the state of Vermont, and most especially in the little village of Brandon, where my husband and I have a gallery and frame shop. Our stable of artists is small but significant. Warren Kimble shows his much beloved folk art, Pete Myers nature photography is also on display. We have jewelry by several artists, my paintings and sculpture, and the Louis Pattis photography exhibit has been extended, just because it’s so terrific! The governor of Vermont called Brandon the “Art and Soul of Vermont.” because of the thriving art energy we exude. There are several galleries: the Brandon Artists Guild, Judith Reilly’s fabulous fabric art gallery, Robin Kent’s folk art at Artisans at the Bend, and more. We have jewelers, glass artists, weavers, fabric artists, printmakers, painters, sculptors woodworkers, folk artists, photographers… For such a small town (population 3,917) we have a pretty high percentage of creative people. Another interesting spot is the Granary, where Warren Kimble and I have our studios, along with 14 other artists. There will be a cluster of artists there displaying their processes and finished work. I’ll be in the gallery instead of my studio this weekend, creating the illusion of a new reality with an easel and paintbrush. I hope you can stop by and visit. The Starry Night Sunflower Moonlit Mural is up on the wall too, my contribution to the Brandon Artists Guild Sunflower Summer celebration. We’ll be so glad to see you!